From early leaks and posts,we saw that Oneplus 6 design and features as well as Antuntu scores.The phone is rumored to have a notch like iphoneX.However,the new leaks is very closer to previous reports. 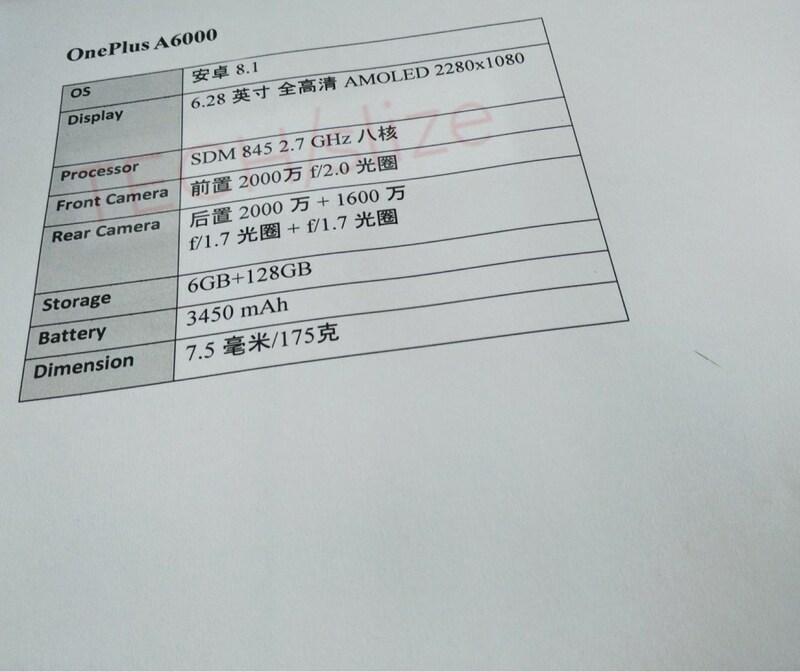 According to new reports,the phone Oneplus 6 with model no A6000 will feature a 6.28 inch AMOLED display with 2280×1080 pixel resolution.It will run on 2.7 GHz Snapdragon 845 processor with 6 GB RAM and 128 GB ROM.As its predecessor had,it will have another 8 GB RAM /256 GB version too.But in early leaks,it has shown a 64 GB version from leaked hands on image of this alleged phone. 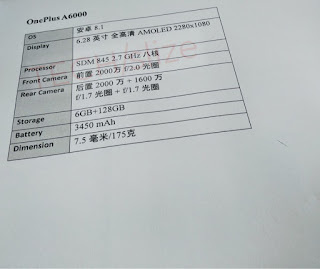 In the camera department,it will have 20 MP+16 MP sensor on rear with f/1.7 aperture for both sensor and a 20 MP f/2.0 snapper on front.AI integrated camera settings are expected on this device.The phone will have 7.5 mm thickness and a 3450 mah battery to fuel up thephone. 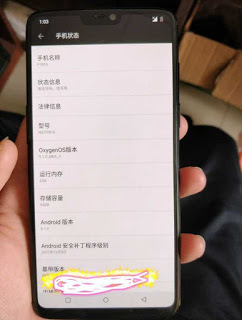 The Oneus 6 is expected to launch before August this year with $740.